Huskies land 7'1" center from Germany. It appears the line of big time big men will continue at UConn. Enosch Wolf, a 7-foot-1 center from Germany, has given the Huskies a verbal commitment, the New Haven Register reports, He is the second German scholarship player. UConn received a commitment from 6-7 swingman Niels Giffey last month, the Register reports. Wolf chose UConn over Georgetown, Georgia Tech, Boston College and Oklahoma, according to the Hartford Courant. He's known as a skilled post player who could help the Huskies from the moment he arrives in Storrs. 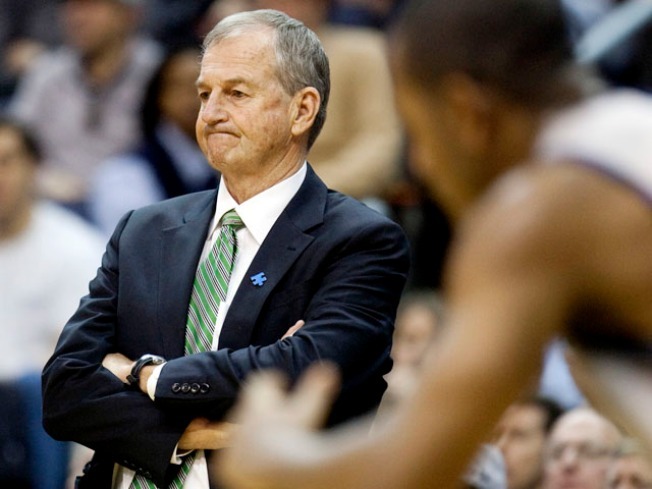 UConn head coach Jim Calhoun and assistant Andre LaFleur were in Germany for the past few days trying to get him to commit to UConn. The Huskies will have seven incoming freshmen next season: Wolf, Giffey, 6-7 swingman Roscoe Smith, 6-9 forward Tyler Olander, 6-4 guard Jeremy Lamb, 6-9 center Michael Bradley, and 6-foot point guard Shabazz Napier.